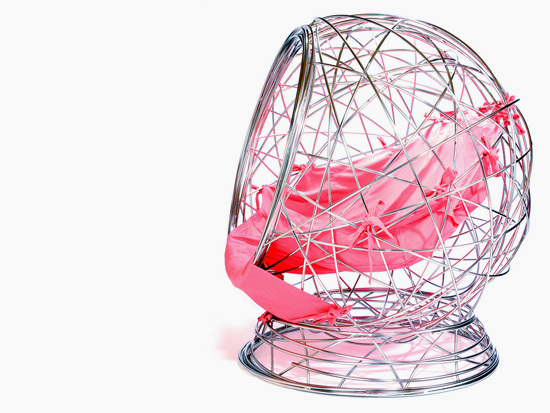 The Kirv Nest is a sumptuous seat made to enclose its user in a private space. Its glamorous form adds prestige wherever it’s used. Ideal for exclusive hotels, clubs or bars, they can be socially grouped by pools and terraces, or placed individually in landscaped areas for places of quiet reverie. 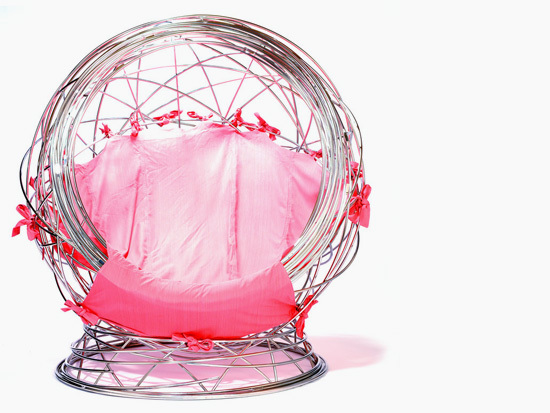 Its roomy internal sling can easily seat two people with room to spare. 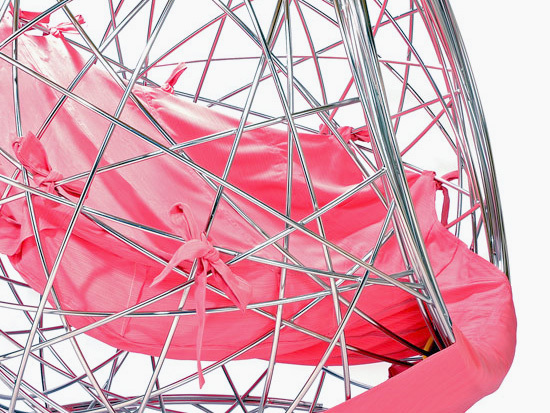 We supply the internal fabric sling in a choice of all-weather acrylic fabric. The sling is designed to be left outdoors throughout the year as it’s stain, mold and fade resistant, water repellant and easy to clean. Cushions can also be supplied. For swatch details, please contact us. 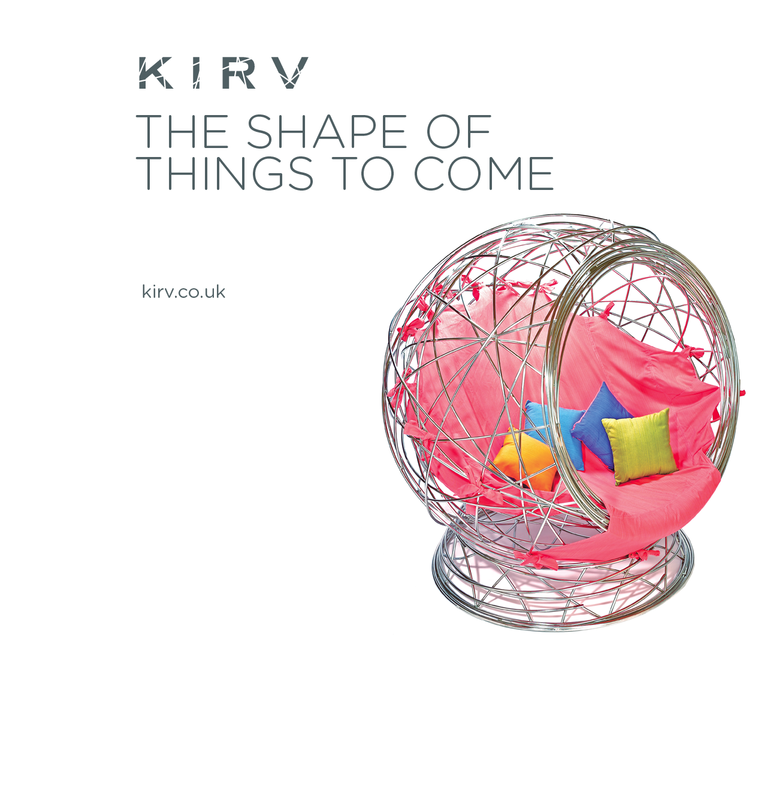 We are happy to work with designers and architects to adapt the Kirv Nest’s modular form to fit any scheme. Contact us with your site requirements and for more information. The Kirv Nest is made from electro-polished 304 grade stainless steel. 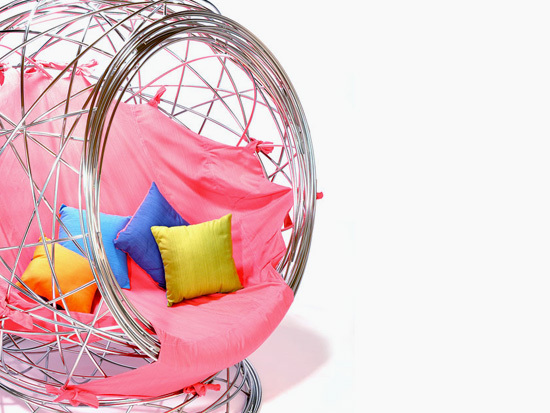 The fabric seat is made from acrylic, is fully weather-proof and stain resistant. Dimensions: 140cm wide x 150cm high.